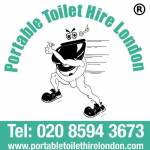 Would you like to request a call back or ask for a quote from Portable Toilet Hire London? We are happy to speak with you regarding any of our services, so please leave your phone numbers or email below, along with a detailed message. or you can also find us on all the social media links on the website.